Arahne has a new customer in the beautiful island of Sardinia. 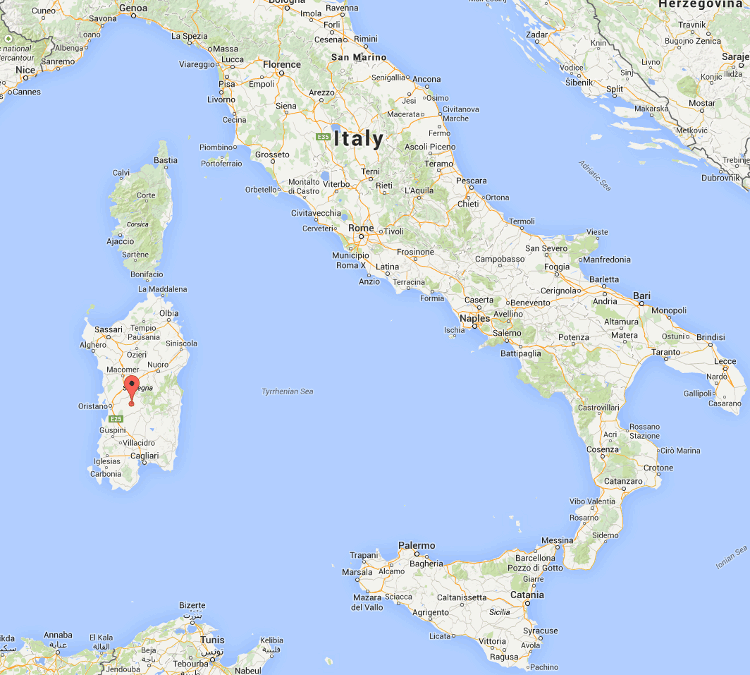 We work a lot in Italy, but almost all the customers are located in strong textile areas of Biella, Como or Prato. Arahne has a new customer in the beautiful island of Sardinia. We work a lot in Italy, but almost all the customers are located in strong textile areas of Biella, Como or Prato. 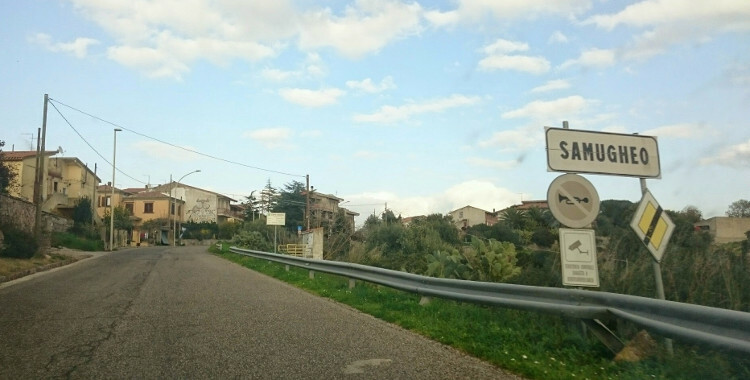 We have never imagined that Italy hides gems like Samugheo, a small village almost in the center of Sardinia, where ancient craft of handweaving is still alive. You can actually walk the streets of the village and hear the noise of the loom beater coming from various houses. They are calling their small weaving mills with an original name – “laboratorio”. Nothing to do with medicine or high tech, it is is a workshop, from Latin laborare. Actually the “laboratorio” of Mariantonia Urru now contains some high tech, a completely new electronic jacquard loom. But more about that later. 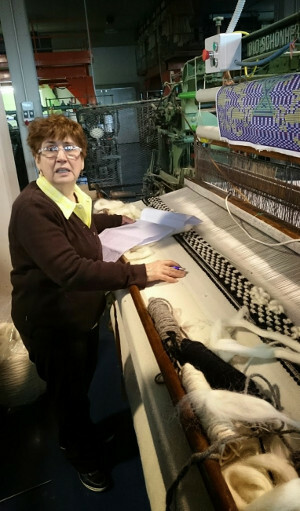 We must first introduce signora Mariantonia, who created the company, based mostly on traditional handweaving. 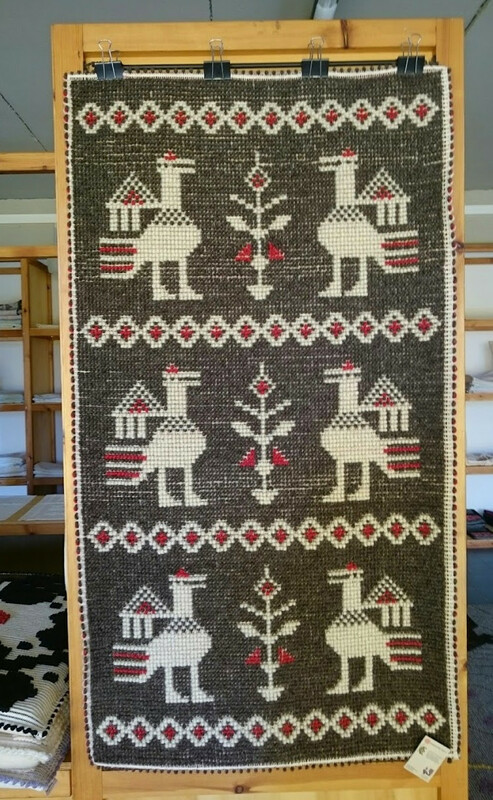 You can see her on this picture making an “pibiones” rug on a Nebiolo – Schönherr shutle loom. 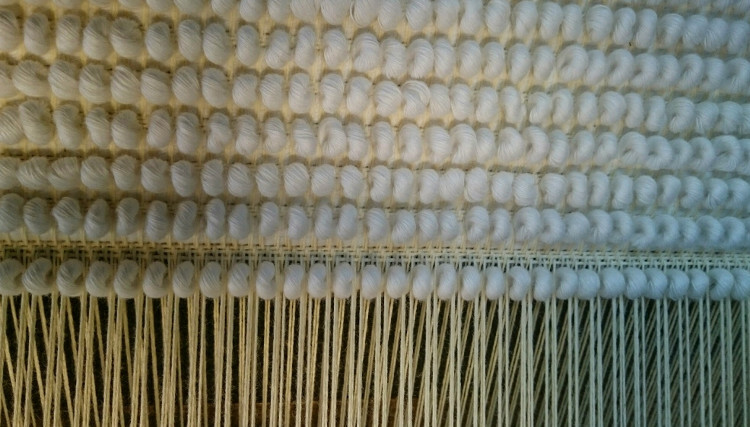 This is a traditional technique where the pile is created by wrapping a weft around a needle, and then removing the needle. 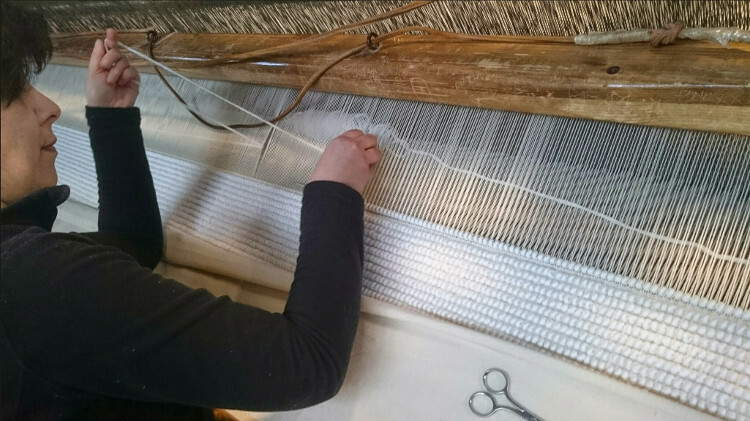 It takes about 15 minutes for a single weft to be wrapped in this way, depending on the density. 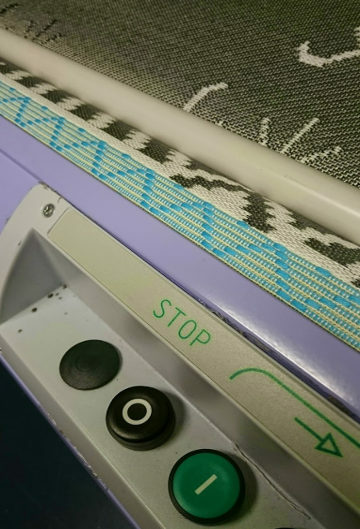 This beautiful technique allows a weaver to make a pile or not, and to make it in different weft colors. 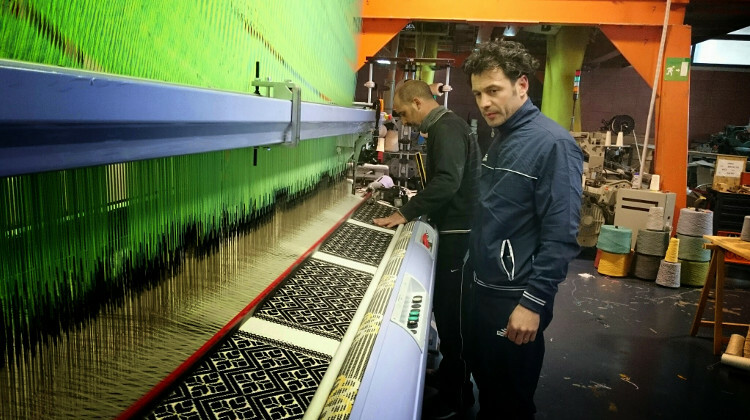 Sons of signora Mariantonia (Gian Bachisio and Giuseppe are in front of the loom) have decided to modernize the weaving part of the “laboratorio” with a new electronic jacquard, which allows them to quickly change the design. We have helped them reinterpret some of their old designs with the new technology. 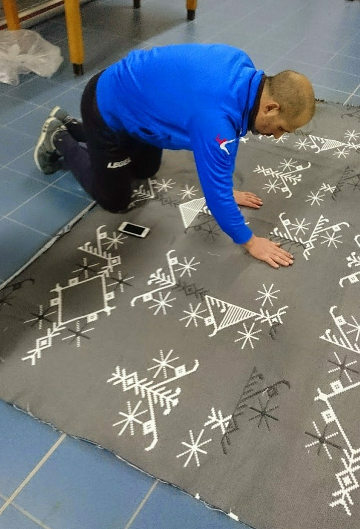 Gian Bachisio is checking the fabric for errors. Finding the weaves, which work well with the chosen yarn counts and densities, requires some trial and errors on the loom. If you climb on top of the gantry, you can see the glowing new jacquard, with drive shaft on the left and good old paper cards from the old looms on the right. If you wish to learn more about Mariantonia Urru, and can’t come to Sardegna, you can visit Proposte fair on April 27-29 2015 in Cernobbio, Villa Erba, near Como. But in order to see the Mariantonia Urru carpets, you will need to go to the nearby Villa Bernasconi, on the other side of Via Regina, where the Carpet show 2015 will take place. Opening hours and and ticket are the same as for Proposte.